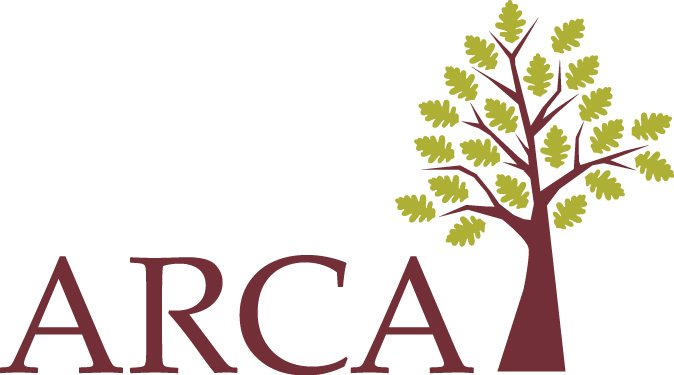 In order to advance the goals and intent of federal and state initiatives, ARCA has developed the Employment and Housing initiatives, and was the main contractor for a Mental Health Services Act (MHSA) grant, crafted to help create a better future for people with developmental disabilities. We want a future in which people have affordable, decent homes and paying jobs in a community of their choosing, and are able to self-advocate in the system for better services and supports. California has the highest poverty rate in the country when factoring in housing expenses. People with developmental disabilities living in California face even more challenges as most depend on Social Security and Supplemental Security Income (SSI) benefits as the primary source of income.California has the highest poverty rate in the country when factoring in housing expenses. People with developmental disabilities living in California face even more challenges as most depend on Social Security and Supplemental Security Income (SSI) benefits as the primary source of income. In California, the SSI payment for an individual living independently is $895.72 monthly but the average cost of a one-bedroom apartment in California is $1350.00 per month. This is approximately 150% of the total income for a person with a developmental disability in California. The majority of Californian renters — more than 3 million households — pay more than 30% of their income toward rent, and nearly one-third — more than 1.5 million households — pay more than 50% of their income toward rent. Affordable housing programs have been underfunded for years, and this has resulted in long waiting lists. People with developmental disabilities often require homes with specific accommodations to ensure accessible housing. The shortage of housing not only impacts individuals with developmental disabilities with hopes of living independently but also those families with children with developmental disabilities who are searching for appropriate housing. California Housing & Community Development. To increase the inventory of accessible and affordable rental units by collaborating with state agencies and housing developers. To promote stable housing by advocating for consistent state funding to assist individuals to live in the community. To encourage the provision of funding for community supports through Non-Profit Housing Organizations to assist individuals in locating and maintaining housing. To collaborate with agencies and organizations that will focus on assessment of need and create programs designed to address the accessible housing needs for people with disabilities. To build a future where people with developmental disabilities have access to affordable housing of their choice, in the community of their choice, with roommates of their choice, and a service provider of their choice. State law supports the increase of affordable housing. California passed legislation to address the lack of affordable housing throughout the state. Senate Bills (SB) and Assembly Bills (AB) were signed into law by Governor Brown on September 29, 2017. These measures are expected to increase the capacity of affordable housing properties throughout California. SB 2 (Beall, 2017) – This bill will allow for a permanent source of funding to address a lack of affordable housing by implementing a $75 fee for forms pertaining to certain real estate transactions. SB 3 (Atkins, 2017) – A measure that places a statewide housing bond on California’s November ballot. If the bond measure passes, $4 million dollars will be allocated to funding existing housing programs throughout the state. SB 35 (Wiener, 2017) – Requires cities to approve more affordable housing projects in order to meet the supply shortage and regional demand. Federal legislation supports the increase of affordable housing units. The Housing Opportunities Through Modernization Act (H.R. 3700, Luetkemeyer) was passed on July 29, 2016. The law creates more opportunities for vouchers to be used to rent homes in low poverty and low crime areas. The law also supports renovation of public housing, addresses homelessness and strengthens work incentives. The Frank Melville Supportive Housing Investment Act of 2010 (S. 1481, Menendez) authorizes integrated Section 811 set aside homes within affordable developments for people with disabilities. The Fair Housing Act (as amended in 1988 by H.R. 1158, Fish) prohibits housing discrimination of individuals with developmental disabilities. The regional centers have partnered with community housing organizations, both public and private, to increase the development of affordable housing properties for people with developmental disabilities. The following is a list of organizations that have worked collaboratively with the regional center to address issues of housing affordability and accessibility. The United States Department of Housing and Urban Development (HUD) is responsible for the Section 811 Project Rental Assistance (PRA) Housing Program for Medicaid beneficiaries with disabilities, ages 18-61, who have resided in a long-term health care facility for at least 90 days and desire to return to community living, or are at risk of institutionalization because of loss of housing. Their primary barrier to returning to the community or remaining in the community is lack of suitable and affordable housing. The program provides subsidies to developers of affordable housing projects for designation of units for the target population. The Lanterman Housing Alliance is a collaborative of 15 non-profit housing organizations whose primary focus is to address the housing needs of individuals with developmental disabilities. The members work closely with regional centers and regional center providers. The California Department of Housing and Community Development (HCD) provides a list of affordable rental housing options throughout the state. HCD’s mission is to provide leadership, policies, and programs to preserve and expand safe and affordable housing opportunities. Some of the housing programs within the state are Community Block Development Grants, No Place Like Home, etc. The California Housing Finance Agency (CalHFA) provides a list of Section 8 apartments or low-income housing units throughout California. CalHFA has supported renters and homebuyers by providing financing and programs so lower to moderate income Californians have a place to call home. It was established in 1975, and was chartered as the state’s affordable housing lender. CalHFA has a single-family division and a multi-family division where it finances rental housing through partnerships with jurisdictions and developers. The California Tax Credit Allocation Committee (CTCAC) provides a map that displays multifamily housing projects that provide low income housing throughout California. CTCAC administers the federal and state Low-Income Housing Tax Credit Programs. Both programs were created to promote private investment in affordable rental housing for low-income Californians. The California Association of Housing Authorities (CAHA) represents sixty-five housing authorities throughout the state of California. CAHA is actively involved in programmatic and legislative activities as it relates to affordable housing. The Affordable Housing On-line website provides up-to-date information about Section 8 Vouchers in each county throughout California. Other individuals should have daily access to meaningful, integrated, age-appropriate activities that are based on individual needs, interests, and abilities and that promote the development of critical skills leading to independence. What kind of support is available to help people on the job? The amount, type, and duration of supports provided will vary based on the needs of the individual. These supports are funded through the regional center and other sources and are provided at no cost to the employer or the individual. Regional centers identify, fund, and monitor service providers who support people on the job. Employment supports may include specialized on-site training to assist the employee with a disability in learning and performing the job and adjusting to the work environment. These supports may also include transportation, assistive technology, specialized job training, individually tailored supervision, and follow-along support. What are the benefits of these supports to employers? Are there tax incentives for hiring persons with disabilities? What is the Ticket to Work and how is it a resource? Home and Community-Based Services Final Rule – In order to keep receiving federal funding in 2019, services like those paid for by regional centers must help individuals with developmental disabilities to be fully included in their communities. This applies where individuals live and also to where they work and spend their day. States have to develop plans for how to make sure their services meet this standard and how to change any that don’t. Workforce Innovation and Opportunities Act – This law requires agencies working with individuals with disabilities to try to help them to achieve competitive integrated employment. It limits the payment of wages lower than minimum wage. It also explains that workers with disabilities should do the same work as people without disabilities and be paid the same amount for that work. Workers with disabilities should share their workplace with workers without disabilities. Executive Order 13658 – President Obama signed this order in February 2014. It increases the minimum wage paid to employees who work for companies contracted by the federal government to $10.10 per hour. Employees with disabilities cannot be paid less than this minimum wage when working on these federal contracts. Regulations to Improve Job Opportunities for Individuals with Disabilities – The Office of Federal Contract Compliance Programs now requires companies contracted by the federal government to set a goal of having at least 7% of their employees be individuals with disabilities. Employment First Law – “Integrated competitive employment is intended to be the first option considered by planning teams for working age individuals” with developmental disabilities who are supported by a regional center. Planning teams for every individual who is at least 16 years old should think about the services that will be needed to make this possible. California Competitive Integrated Employment (CIE): Blueprint for Reform for Individuals with Disabilities – The California Departments of Education, Rehabilitation, and Developmental Services are working together on a plan to increase integrated, competitive employment for individuals with developmental disabilities.